VIP holders attending Tech N9ne’s Gift of Rap 2012 Concert on December 7th will have a chance at dining with the King when Strange Music picks 10 lucky winners to share a VIP suite with Tech N9ne – and it’s all catered by Gates Bar-B-Q! That’s right. While fans help out by giving back to the community through Love Fund For Children and Harvesters, Tech N9ne and Strange Music will give back to Strangeland with a very special VIP suite party, all in the name of charity. With the concert just weeks away, we decided to offer a closer look at just what Gates has to offer. 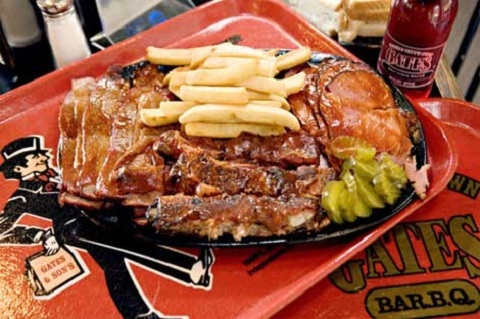 Known as one of Kansas City’s top BBQ spots, Gates is so good it inspired The Gates Mixed Plate release in 2010. So get the napkins ready and take a look below to see what you can expect IF you are one of the 10 lucky winners! CLICK HERE TO PURCHASE VIP PASSES TO THE GIFT OF RAP 2012! 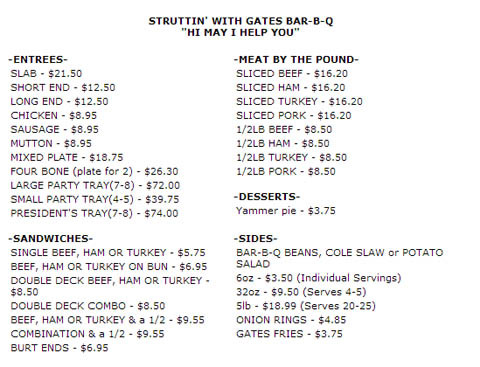 Have you ever eaten at Gates before?